Public spending on education was 6.2 per cent of GDP in 2010. 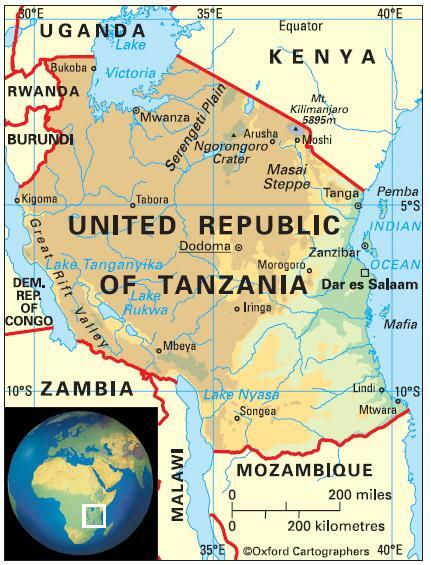 The education sector in Tanzania is co-ordinated and managed by two ministries, namely the Ministry of Education and Vocational Training (MoEVT) and the Ministry of Higher Education, Science and Technology (MoHEST). There are seven years of compulsory education starting at the age of seven. Primary school comprises seven years and secondary six, with cycles of four and two years. Some 81 per cent of pupils complete primary school (2009). The school year starts in January. The principal public universities are the University of Dar es Salaam (established in 1970); Sokoine University of Agriculture, Morogoro (1984, before which it was the Faculty of Agriculture and Forestry of University of Dar es Salaam); and Open University of Tanzania (established for distance education in 1995). There are a number of private universities including Hubert Kairuki Memorial University (with faculties of medicine and nursing, in Dar es Salaam, established 1997); and International Medical and Technological University (Dar es Salaam, 1995). The female-male ratio for gross enrolment in tertiary education is 0.5:1 (2012). Literacy among people aged 15-24 is 74.6 per cent (2010). A democratic and effective trade union that seeks to strengthen its teachers professionally and socially.